As expected in an RPG sequel, your collected items, knowledge, levels, etc., have been whisked away. You start as a first level character with a first level fighter (Eldar) on your ship begging to be recruited. You have recruitment slots for up to four companions who are directly controlled in combat or run by the combat AI. 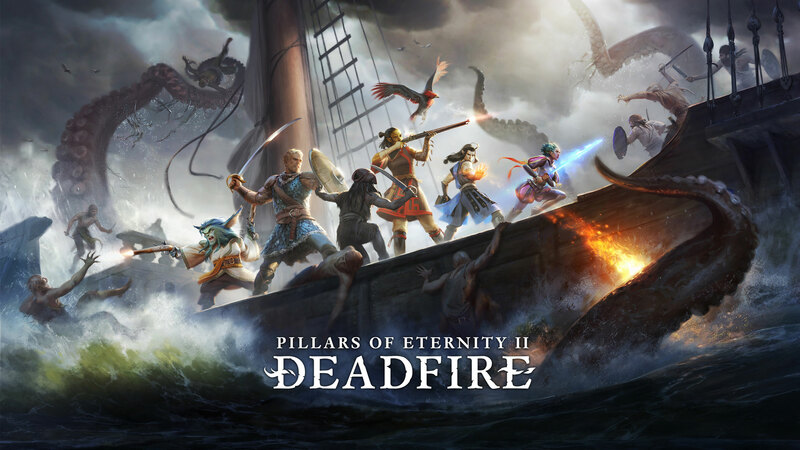 The Deadfire Islands are politically complex with five major factions and several sub-factions. 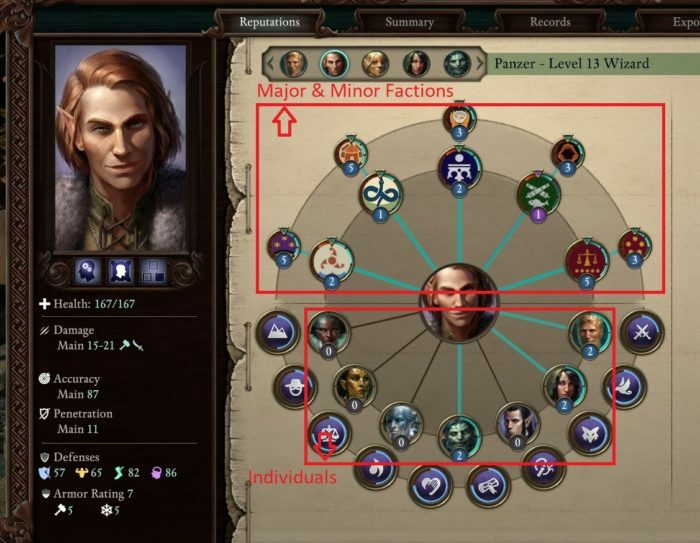 Your actions build a reputation with each faction, sub-faction, and island. 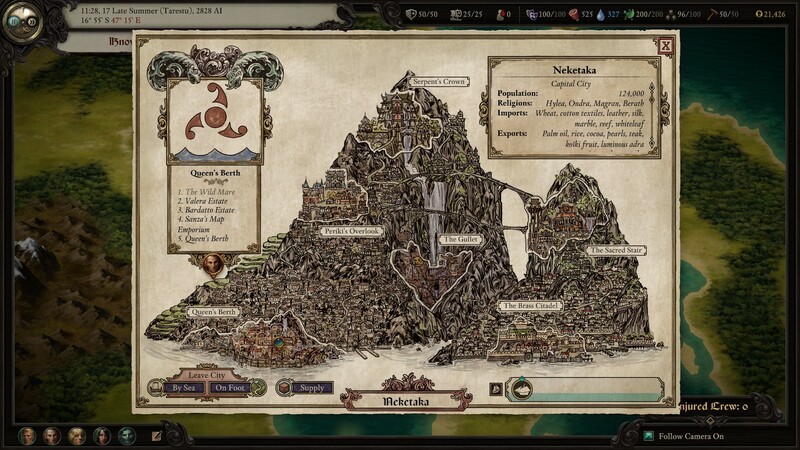 All factions offer quests, large and small. Some factions are enemies, others are allied, and all want you to do things either too dangerous or too trivial for them to dirty their hands with. After the initial shipboard battle and walkabout with the gods in the “god dimension,” you find yourself on an island with a small wrecked ship, one potential party member, and a small amount of salvaged goods. 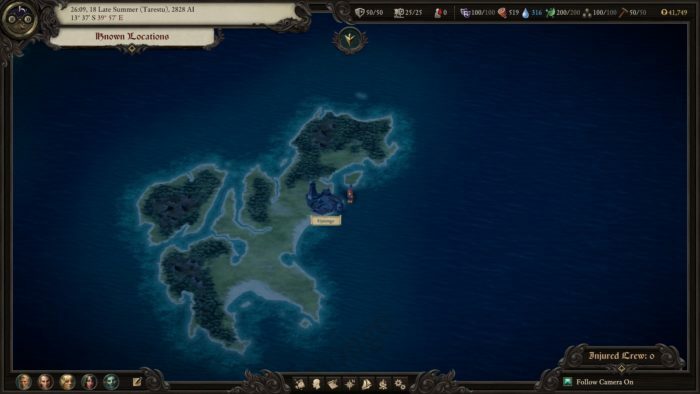 Several others can be recruited on this island. You must complete some quests to get your ship repaired. It seems like I’m dropping a ton of spoilers, but we are only fifteen minutes or so into the game. 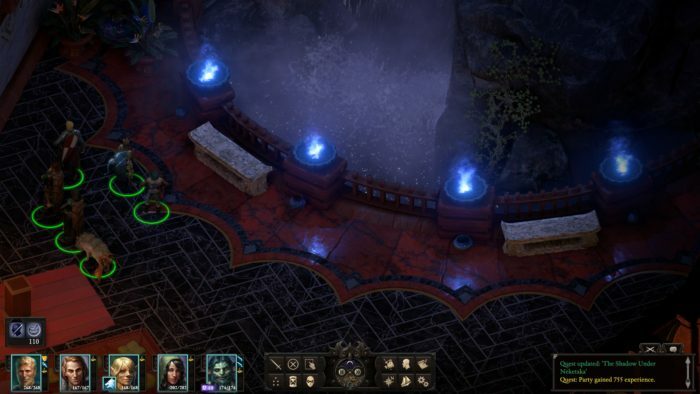 Pillars 2 starts by dropping a big bucket of information on your head, but the info. dump is skillfully done. Once your ship is repaired the Governor of the island encourages you to set sail for a specific port on a different island. 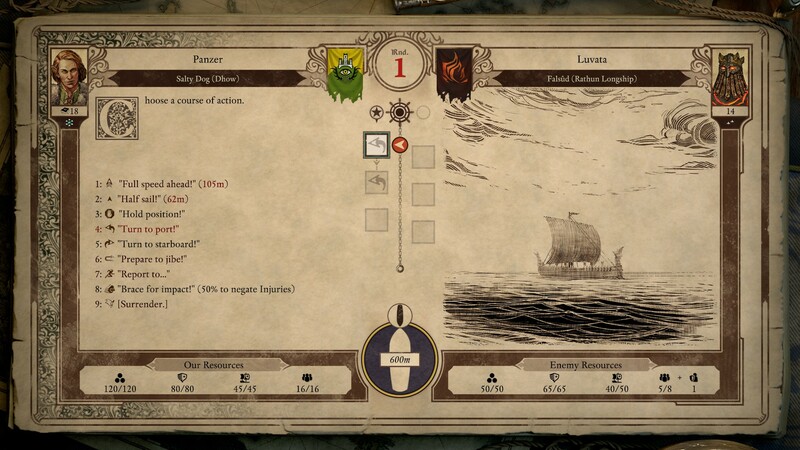 You can ignore these instructions and sail away to explore and meet other factions on your own. 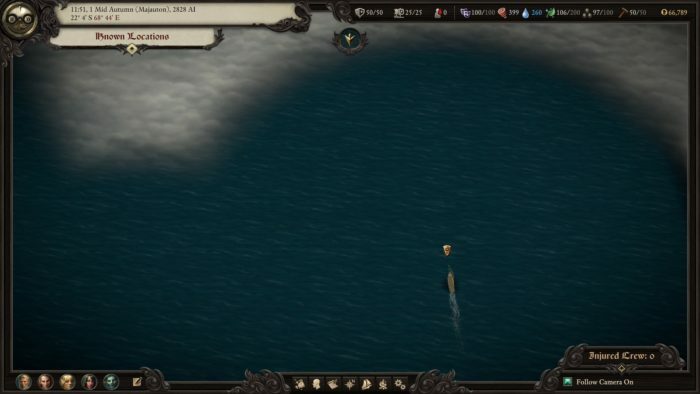 You might try looting every ship and village encountered. Unlike Pillars 1, once you get your ship all map locations are discoverable. Map icons indicate if the dangers on an island or encounter area may be over your head – but nothing stops you from charging forward. I mostly followed the large breadcrumbs dropped in my characters path by the developers. 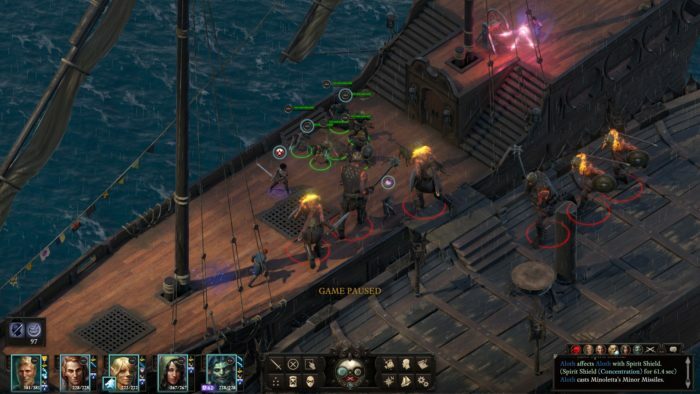 Like most long RPG games, Pillars 2 has a lot of combat. There are different character classes with different skills and abilities. I suggest recruiting characters encountered in your travels instead of recruiting generic minions from a bar. Characters encountered while traveling have better back stories, more entertaining dialogue, and will each cough up a couple of quests. A fighter, a priest, a wizard, and a cipher (sort of a wizard) can be quickly recruited. The Pillars 2 combat system is best managed by having a strong tank backed by spell casters and ranged weapons specialists. Your personal character makes up the 5th party member. I suggest playing a ranger with a bear or lion companion. The ranger is the best missile weapon combatant. A good archer deals a lot of the total party damage. A ranger also gets an animal buddy. Selecting a “bear buddy” provides a second “mini-tank” melee character. Last, rangers can select mechanics and stealth points when leveling up, which enables lock picking and trap detection/removal. There are a lot of locks in the game. Some areas have quite a few traps. As I gained levels I selected fighter perks on absorbing damage while wearing very heavy armor. My fighter build was “tank” used to tie up a lot of enemies and absorb most melee damage. Other party members dealt ranged damage or combat buff/debuffs. In this combat system, the mage and priest are better utilized on buffs and debuffs instead of dealing direct damage. Your cipher can deal a lot of physical damage quickly and the ranger can do considerable damage with missile weapons. Priests and mages can carry wands/rods/staffs, which deal endless amounts of small ranged damage when not casting spells. In the Pillars 2 magic system, most spells can be cast during a single combat and be ready for use in the next combat encounter. In most conflicts my tank rushed forward to engage and block the enemy. My “bear buddy” was held in reserve to block leakers. My mage and priest buffed/debuffed, the ranger used their bow and the cipher either fired pistols or dealt direct magic damage. The mage was a secondary ranged damage spell caster. The cipher and ranger concentrated on one eliminating one supporting enemy at a time (missile weapon wielder or spell caster). Melee enemies were usually concentrated on last unless they broke past the fighter/bear line and engaged a supporting character. A “tank build” can absorb a tremendous amount of punishment before dropping. The drawback of tank builds with heavy armor is they attack very slowly. The lighter the armor the faster you can get off attacks. 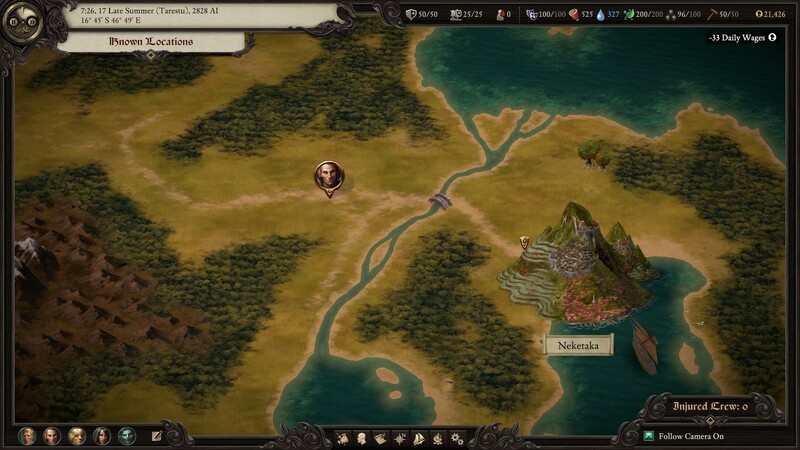 I usually had my secondary troops in relatively light armor so they could cast spells or fire ranged weapons rapidly. However, this did make them vulnerable if an enemy melee character locked them in an engagement. Very few computer RPG worlds provide such an “immersive experience” that I felt mentally transported into a different world. The first Fallout, Morrowind, Freedom Force and Vampire the Masquerade: Bloodlines all did it for me. Pillars of Eternity 2 hits this mark. The backgrounds are very reminiscent of what you see in the Caribbean and Central America. The complex factions dislike each other for very good reasons. Most factions have both good and bad points. Your character lacks knowledge of the islands. They must be explored to find out what is going on. The sounds and background music gave you the feeling you were on a schooner in an Alt-Caribbean environment. I got a real sense of “exploring the unknown” (at least to me) from this game. I seldom get that “exploration of the unknown” experience in an RPG. I cannot remember the last time I did not turn off the music in an RPG. I still have the music playing at a low volume in the background after 70 hours of play. The faction and relationship map associated with your main character gives you an excellent overview of where you stand with the various groups. Games hitting this mark usually become favorites I replay multiple times. Games coming close to this mark (Icewind Dale; Fallout: New Vegas) also get replayed. Otherwise excellent games that felt generic (Oblivion, Daggerfall, Silent Storm, any of the Baldurs Gate series) get one play through and are discarded. 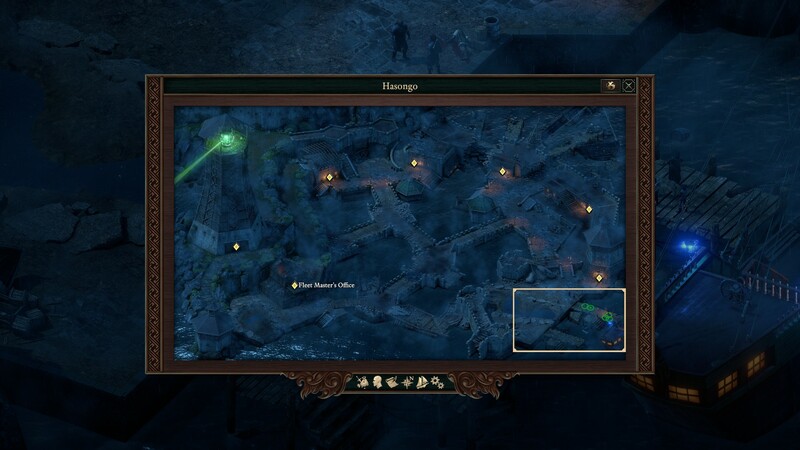 The screenshots provide a taste of what I’m talking about with Pillars 2. In the background you hear waves crash, see water drop over a falls, and listen to faction leaders who have darn good reasons for hating another faction and vice-versa. The architecture reminded me of a cross between the Pacific Islands, the Caribbean, and Inca cities from Peru. 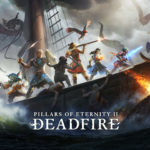 Pillars 1 had one of the most unique and depressing story lines of any RPG. Something is causing children to be born without souls. Nobody knows what is happening to these souls. Various groups are being blamed for “the Hollow Born” and atrocities acted upon various scapegoats are common. Yuck! Compelling, but a real downer of a story line. At average difficulty the fights were balanced. 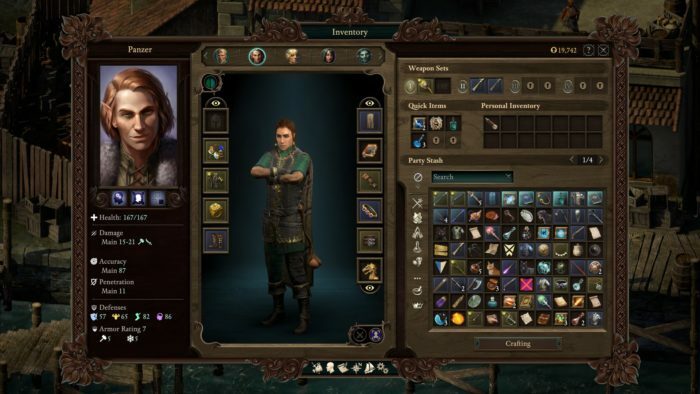 The game gives ample warning if you were potentially biting off more than you could chew – but nothing prevents your characters from picking fights with enemies which can easily snuff them out. I strongly encourage players to turn the combat AI off all party members. With some thought you should be able to run a battle far better than the AI. The combat takes place in real time but can be paused at any time. Effectively managing your buff/debuffs is essential to victory against challenging opponents. Scouting ahead helps a lot. Thinking about the strengths and weaknesses of your opponents helps. My advice is RPG Combat 101 and nothing about the combat is uniquely good. 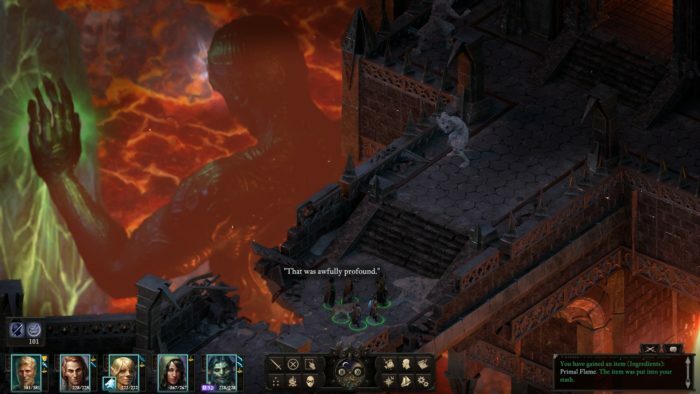 One knock against Pillars 1 seen in Pillars 2 is generic, bland magic items. There is great play balance, but no truly memorable weapons, magical trinkets, armor or whatnot to be had. I would periodically review inventory items and compare to equipped items. Items would be swapped around, and obsolete stuff sold. I never felt a twang of regret from taking an obsolete but colorful item out of action. 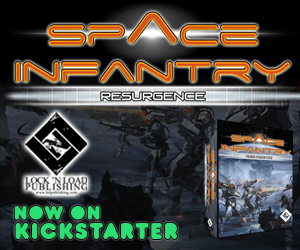 The combat system works well and has excellent play balance. 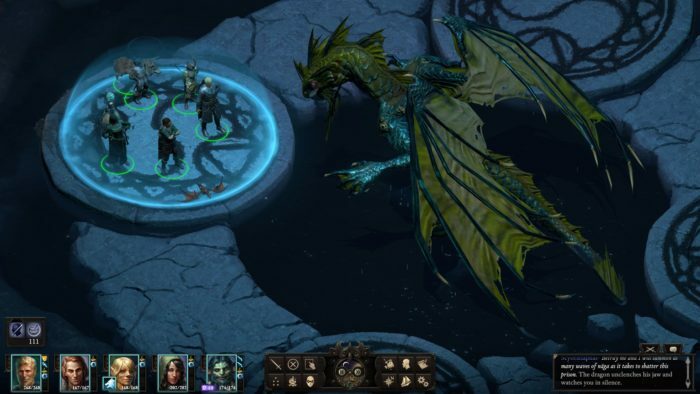 The storyline is more interesting than your tactical combat strategy – which for most RPG games is a good thing. You can create items and increase the power of many existing items. However, components needed for upgrades are few and far between. My advice is to save most components until the middle game and then use them to create “legendary” items with power upgrades fitting your combat style. Beware of using rare components to make one-shot potions or scrolls. Still, I never created anything “memorable” enough to bring up in chit-chat over drinks with other gamers. It takes a lot of money to buy better ships and expensive provisions. It costs a lot of money to enchant legendary items with great powers. Many things in this game cost a lot of money. Think about your goals an prioritize your funds in that direction. You have a ship. You can buy better ships and equip each ship with better stuff. 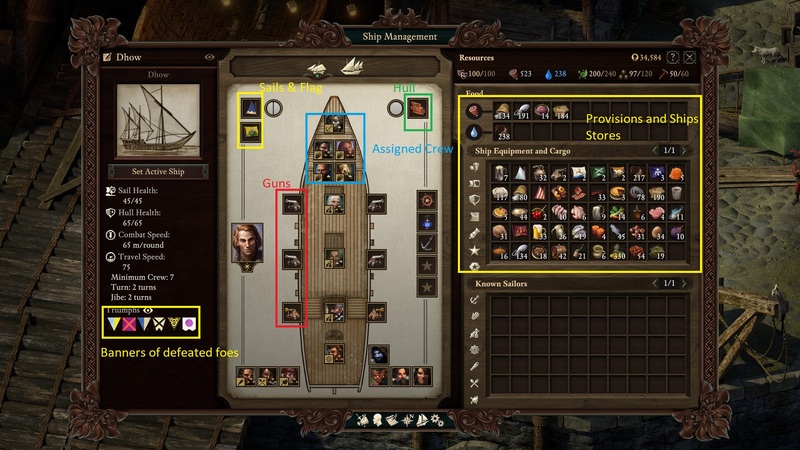 You can recruit crew and over time your crew gains levels and fights, steers, cooks and does other things better. Ships can be named (I sailed the Salty Dog). Ship combat is highly stylized and pretty boring. If you learn the ground combat system, you should win any ship-to-ship fight if you can manage a boarding action without being sunk. Maybe I failed to grasp something about ship combat, but I found it simplistic and boring. I did far better when I managed to board the other ship. Ship supplies, equipment and crew morale must be managed, but this is easy. I loved sailing the Salty Dog and exploring the islands. It was a blast. Ship combat was a boring diversion from happy exploration. 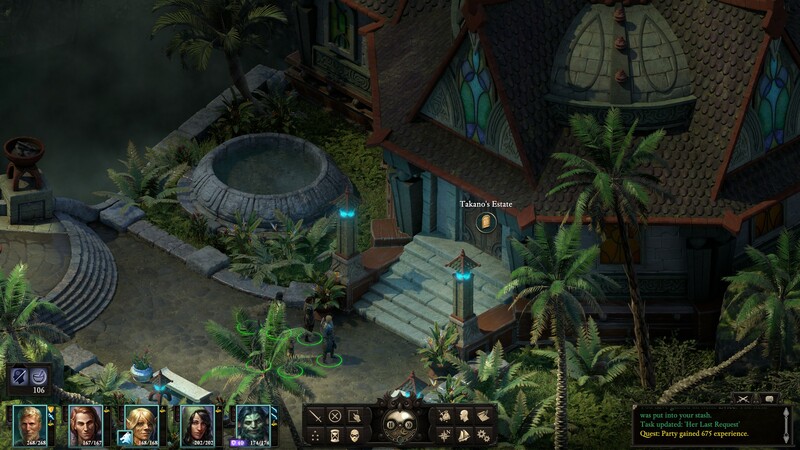 Pillars 2 excels at providing a rich, engrossing environment peopled with memorable characters and factions. You get a sense of mystery, enchantment, and exploration. Combat is well balanced. Your side-kick characters have interesting personality quirks and foibles. I was not excited about the magic items, ship combat, or the squabbling gods of Pillars 2. If you are like me, most every god would be exterminated, and the Pillars 2 pantheon would be replaced with something more interesting. If you like RPGs I would absolutely buy this game. 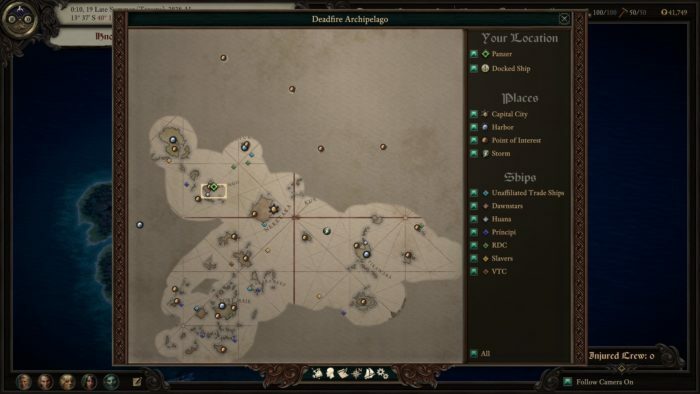 If you like interesting worlds, NPCs and factions to interact with I would buy the game today. If your primary RPG enjoyment comes from crafting neat stuff and having extremely exacting tactical combat, you might want to hold off for a year or so and buy Pillars 2 when the price falls further. I really loved the game and do not regret the 70 hours I’ve put into it. I’ll replay it from start to finish after the three expansions go on-sale as a reasonably priced bundle or “game of the year” edition.